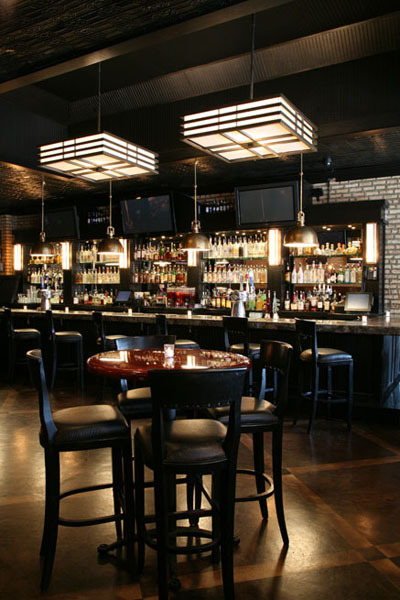 CAGNEY'S SPORTS LOUNGE was named for James Cagney, and the great sports bar and Irish pub atmosphere that they have created here are definitely noteworthy. The bar and restaurant has three levels so it's clearly spacious enough, and we really love the marble bar and comfy leather seating. This establishment is often packed with crowds since it's in such high demand, so now and then you'll find that your wait for a drink is just a little longer than you'd prefer. This is a great place to catch the UFC fights and they've also got a menu of delicious food that will help you to buffer all those beers!